Not all maternity wards are created equal. Asking questions during your hospital maternity tour will give you a better sense of what type of environment it is and what to expect during your birthing experience so you can better prepare. Visiting a maternity ward for the first time can be a bit overwhelming especially for first-time moms or refresher moms who have had a large gap of time between children. Even if you know which hospital you’ll be delivering at, taking a maternity tour can help you get familiar with the environment and is an opportunity to learn about hospital policies that you might want to prepare in advance for. What support is available for natural birth? If this is part of your birthing plan, you’ll definitely want to know about the resources that will be available to you. Is there equipment like birthing balls, showers, hydrotherapy baths, and squatting bars available in the room? Does any of the equipment need to be requested in advance when you are checking-in? Many hospitals have an anesthesiologist on hand to give epidurals, but availability might vary during the middle of the night. Since babies come at all hours of the day, you’ll want to know what the protocol is for night deliveries and whether or not there is an average wait time when requesting an epidural. How long are the nurse shifts? Chances are you’ll be working more closely with your nurse than your doctor and you’ll want to make sure he or she will be there for you for the duration of your labor. How long are the nurse shifts? How many moms are they working with? 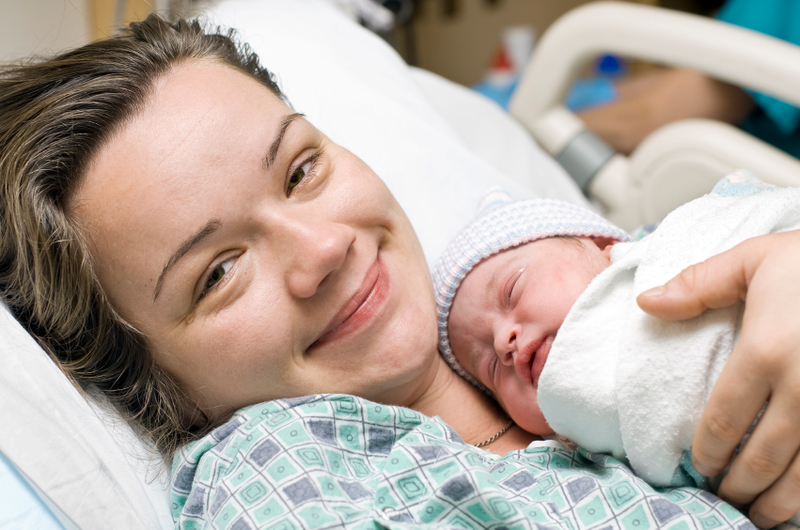 Can you request a nurse that specializes in working with natural births? This information will help you get a feel for the type of relationship you can anticipate with your nurse. Ask about the frequency and duration of fetal monitoring when you’re in labor. Do you have to be stationary in bed or are there mobile units that let you get up and walk around? Does the hospital have a NICU? Ideally your baby will have a healthy birth, but you still might want to know about the resources available to assist your baby if there are any complications or if your pregnancy is high-risk. Ask if your hospital has a Newborn Intensive Care Unit (NICU). If there isn’t one on-site, ask about the procedure for giving your baby special care if needed. Do babies room-in with mom or go to the nursery? When babies stay in the room with mom it can promote healthy bonding and can help support the transition to breastfeeding. However some moms appreciate having a nursery available for when they need to catch a few minutes of sleep. Ask if your hospital has an official policy on this or whether they’ll support your preference. What type of breastfeeding support is available? While many hospitals support the idea of bringing a newborn straight to the mother’s chest right after delivery, some policies vary on whether or not you can breastfeed right after a c-section. Ask if there is a lactation specialist available to visit you in the recovery room if assistance is needed. Many hospitals also offer breastfeeding classes, both during prenatal preparation and for after-birth support. You can also see if breast pumps are available to rent from the hospital. What security measures are in place to ensure the safety of mom and baby? First time moms might be especially nervous of letting their tiny newborn slip out of sight for even a second and it’s good to know the security measures in place for tracking babies and moms. Most hospitals still use wrist and ankle bands for mother and baby with matching identification numbers. Some hospitals also have a small sensor that gets placed on mom and baby that activates an alarm if baby is taken near an exit door (the sensor is deactivated when you discharge from the hospital). Finally, many hospitals will have a special badge that needs to be worn to even access the maternity ward. This might not be the ultimate decision-maker in selecting a hospital, but if you are anticipating a lot of visitors or have family coming in from out of town, you’ll want to know what the policy is for visitors – visiting hours, who can visit, number of visitors allowed, size of the wait room, etc.